"There is nothing new under the sun" had been quoted thousands of times in the centuries past. However, there was something "new" on the horizon, just waiting to be "discovered," or, simply, brought into the light. 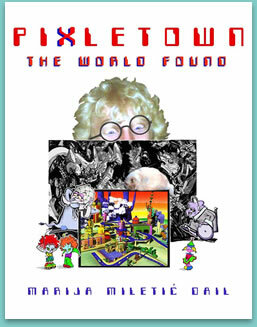 Such is the case in the story of Pixletown, where a whole world existed, and even thrived, undiscovered for eons, until this last century, when the vehicle had been invented to bring it to our attention. That vehicle was the computer. A true story from WWII taking place in England. It tells of three sisters who were were separated from their family when they were sent away from the bombs of London.